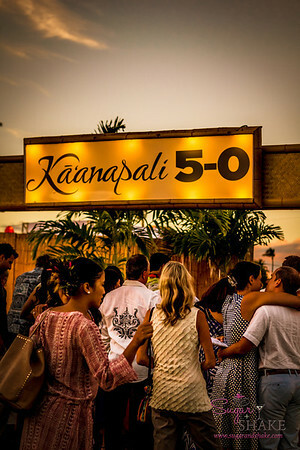 One of the things I love most about the annual Kā‘anapali Fresh festival (now in its third year) is that the organizers are willing to change things up and try new formats for the events that make up the festival weekend. Too often, events here are the exact same, year after year. 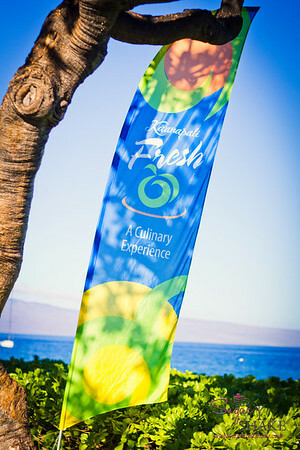 This year’s K-Fresh runs Friday, August 29 through Sunday, August 31 in, of course, Kā‘anapali, Maui. Here’s a little preview of the festival events, along with our Sugar + Shake two cents’ worth of opinion. To purchase tickets, click here or visit the Kā‘anapali Fresh website. A sunset ceremony on the beach will kick things off with traditional Hawaiian chants and an exchange of gifts from sea and land. The evening is themed as a “culinary journey through three distinctive ages of Hawaiian cuisine.” First, “Old Hawai‘i,” featuring clean, natural flavors—fish, seaweed, sweet potatoes and taro; then the “Golden Era,” with ingredients introduced by later-comers to the Islands—beef, pork and pineapple; and lastly “Modern Hawai‘i,” showcasing today’s interpretation of Hawai‘i Regional Cuisine. Sugar + Shake’s Two Cents: This is a new event, giving a more formal opening to the weekend’s festivities. Previously, the Friday evening event was a progressive dining experience (whittled down from three stops the opening year to two last year), which involved shuttling or hoofing it down the beach walk to the next stop. The opening message was always drowned out, though, because the food was already plated up and being passed out before the official welcome was given. So this is nice, to have a proper Hawaiian start to the festival. The overarching theme is cool, one that intrigues me particularly because of my recent work on a book encapsulating a similar concept. 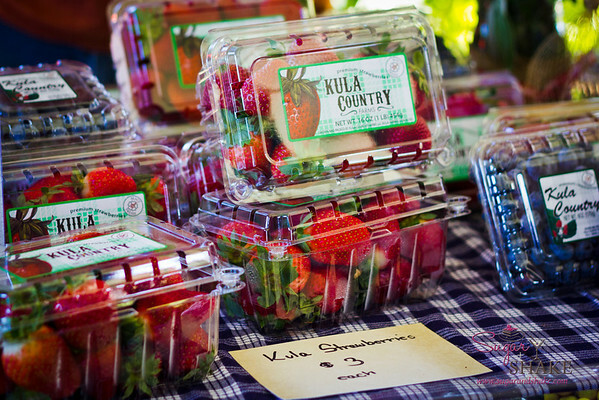 Local farmers and food producers will brighten the Kā‘anapali Beachwalk with displays of sweet ripe mangoes, rainbows of fresh farm vegetables, huge hands of apple bananas, Maui Gold Pineapple, crisp greens, free-range eggs and more. Sip a free sample of coffee from the MauiGrown Coffee and Maui Coffee Growers Association members, and enjoy chef-prepared edibles while you shop. Parking is free with validation from the market. Sugar + Shake’s Two Cents: We love this market! Someone’s always cooking up something delicious for breakfast, the fresh coffee is great and there’s so much beautiful produce. Every year I allot more room in my luggage for bringing back more goodies, and every year I feel like I can’t carry back everything I want. This “marriage of libations spirited and brewed” is just as fun as it sounds: a chance to watch master mixologists talk about and shake up the colorful cocktails that have won them awards statewide. Chandra Lucariello, Director of Mixology for Southern Wine & Spirits of Hawai‘i and Vice President for the United States Bartender Guild Hawai‘i, will share her story of how craft beers are integrating with classic cocktails. 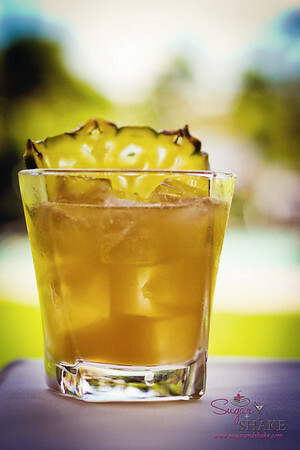 Freddie Sconfienza of The Westin Maui Resort & Spa will whip up the Hokulani/Heavenly Star and Dragonberry Bomb—concoctions that have twice won him the title of Starwood Hotels & Resorts’ Star Mixologist. Creatively infused cocktails in hand, guests will enjoy a delicious lunch. Sugar + Shake’s Two Cents: The format of this event seems to change every year. We missed it last year because I was flying in just as the seminar was going on, but our friend @Melissa808 attended and said it was great fun—guests mixed up their own cocktails in a competition. I am not super jazzed about this year’s theme—I REALLY hate beer—but the addition of a lunch is quite nice. And Chandra’s a fantastic mixologist and fun speaker; I wouldn’t be surprised if she could convince me to like a cocktail with beer in it. This is the signature culinary event of the weekend. Within the ancient Hawaiian ahupua‘a (land to sea) system, Hawaiians followed a model of truly “green” living. For this memorable dining extravaganza, chefs and restaurants will follow that ancient model, collaborating in a showcase of culinary sustainability that uses the island’s harvest from the range, farms and sea. 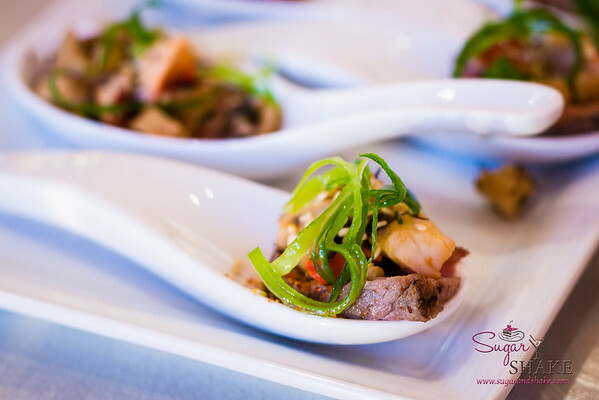 Dishes will be expertly paired with boutique wines from the world’s leading vintners. Entertainment by Kamakakehau Fernandez and HAPA. Silent auction to benefit Maui County Farm Bureau. Sugar + Shake’s Two Cents: This is our very favorite food event of the whole year in the whole state. The setting is gorgeous and there’s just something about the more laid-back Maui atmosphere that makes the whole thing more pleasant. (That said, I will note that on Maui, if you’ve staked out a table, people will come right up and share it with you, more often than not without asking; on O‘ahu, while people are pushier overall, they tend not to just plop themselves at your table without some sort of overture.) The wine-pairing concept is nice but I’ve always found it hard to figure out what wines go with which dish, since they’re not served side-by-side. An open-air, beachfront dinner that serves as a prelude to the Hawai‘i Food & Wine Festival on O‘ahu. 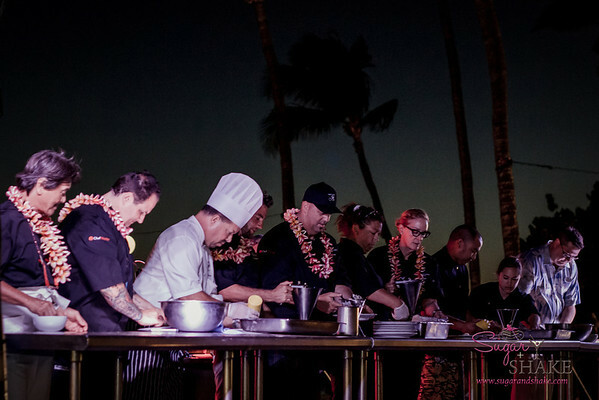 Six renowned chefs will prepare a six-course menu highlighting Maui-grown products. Sugar + Shake’s Two Cents: Of the HFWF events last year, I liked this one best. 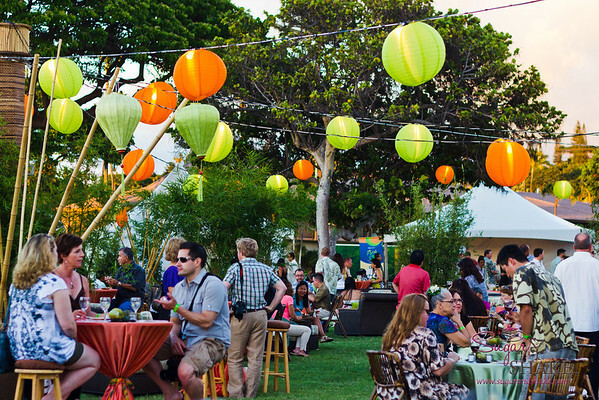 (See my HFWF 2014 Lineup for why and who’ll be cooking.) This year, the format stays the same as last year, but the players have changed, which is fun. 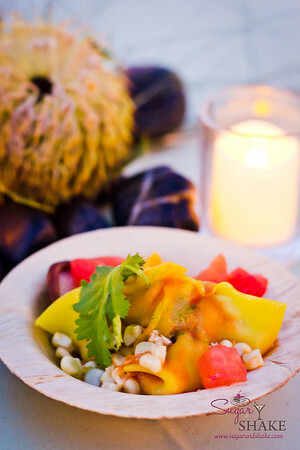 One of our Maui favorites, Isaac Bancaco will be part of the event this year. Of all the K-Fresh weekend events, this is the one I would get most dressed up for and even bust out the nice shoes.